Shea butter is all the rage in hair and beauty products. We all know that it’s great on our bodies and soothes dry cracked skin. But lately, we have seen it as an added ingredient in a lot of hair care products. Reading product labels is important to ensure that shea butter is not diminished by synthetic material like lanolin, paraffin, and waxes. 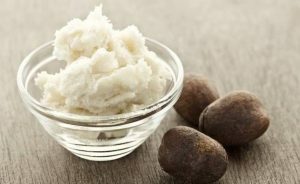 Pure essential oils added to shea butter also adds to its healing properties and potency. We all know shea butter can be beneficial, but why is it good for hair, and can it be harmful in certain circumstances? Take a look at the video below, and find out why shea butter is beneficial to hair, and if it’s right for you and your hair care needs.